Simple, stylish and sustainable is the motto behind this brand new organic range of clothing for kids. Take a look and I think you’ll agree they pretty much hit the mark. 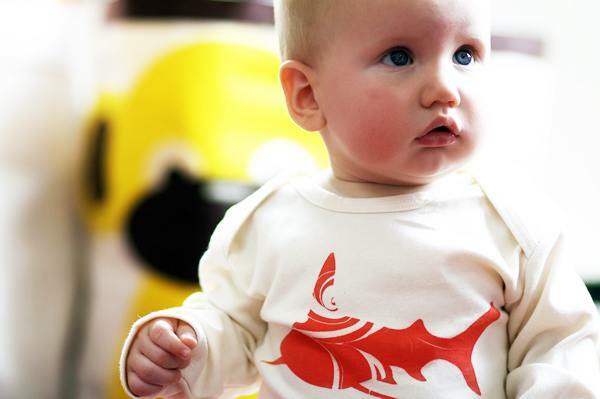 Zoolu Organics are a collection of short and long-sleeved onesies and tees made from certified organic cotton. Vancouver-based Mum Patty Abbott is the graphic designer behind this great collection – she wanted to design and make clothes that were unique, ethically made, environmentally friendly and soft on her baby’s skin. Quite a tall order but that’s just what she’s achieved. Using materials free from nasty chemicals (even the inks used for the prints are water-based), Patty says she knows everything is sustainable as she practically makes the whole lot herself! I love the eye-catching animal illustrations and the soft colours Patty uses. Available in sizes newborn up to two years, these usually cost US$24 each plus shipping. However, Zoolu have a great offer for Babyology readers with thirty percent off all purchases – just enter the code “babyology” at the checkout. Go on, go wild!